Private education is rapidly gaining ground as the UAE now has the fastest growing private education market in the world with a value of $1.9 billion, said the organisers of the upcoming Getex Spring 2013, a top education event in Dubai. 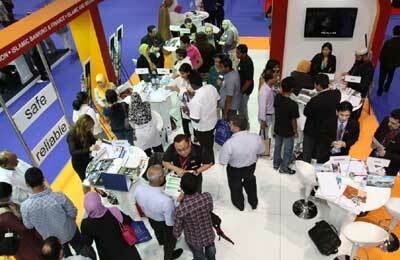 The event will run from April 17 to 19 at the Dubai International Convention and Exhibition Centre. The event expects to attract a record participation of students and key industry figures from all over the country and across the Middle East. With a host of value-added sponsorship opportunities, Getex Spring serves as a gateway for education providers to penetrate the UAE private education market and achieve maximum brand exposure. “I have been attending Getex for 14 years and have found this event to be a great opportunity to market our university to the entire Middle East,” said Mahmoud Lamadanie, executive associate vice president, Center for International Affairs & Programs (CIAP), Grambling State University of the US, who has been a regular participant at Getex. Getex Spring 2013, which marks the 25th edition of the show, will gather thousands of education industry stakeholders to provide a dedicated networking platform that supports the long-term growth and development of the region’s education sector.